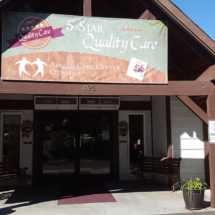 Located in beautiful Othello, a rural community where neighbors are friends, AVALON CARE CENTER – OTHELLO is dedicated to providing premier care and rehabilitation. 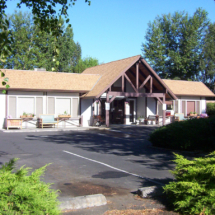 Our care center is located on 13th Avenue just off Highway 17 and across the street from the Othello Hospital making it convenient for family and friends to frequently visit during your stay. Our home-like environment is where technology and care work together to bring the best of both worlds to you. Our park backyard view is a perfect place to relax and enjoy watching the squirrels during your recovery. Avalon’s team of care professionals work hand-in-hand to provide around the clock care designed to get you back on your feet and home as soon as possible. After working up an appetite enjoy a choice of delicious hot entrées from our “Always Available” menu. Feel like having a Netflix marathon or using your iPad to stay in touch with friends and family? 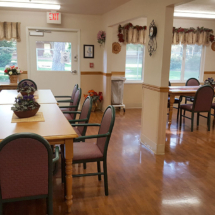 You’ll find the wireless internet access throughout our care community. 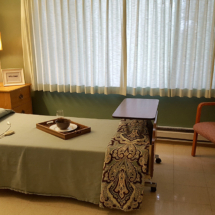 Avalon Care Center – Othello offers more than just 24-hour nursing care, we cater to both the physical and emotional health of our residents and patients. Our care teams work together to create personalized treatment plans to help patients through their care journey. We strive to provide industry-leading outcomes through coordination of all aspects of your care. We are proud to provide a number of Staff members that are fluent in Spanish in our Admissions, Nursing, Dietary, and Housekeeping departments. Spanish-speaking Staff have an indication on their name badges. Please don’t hesitate to ask us questions or request assistance at any time, we are happy to help! During your stay with us, you’ll enjoy a variety of options available from our kitchen. We’re proud to offer dining options that include items frequently requested by our Hispanic residents. Full-service dining includes breakfast, lunch, and dinner as well as snacks and other items available 24 hours a day. Our Activities Department has daily activities for both our English and Spanish speaking populations. The activities schedule is posted on the wall in the entrance.